With Thanksgiving past and Christmas approaching, many people will notice a familiar sight when out shopping: a red bucket and a volunteer ringing a bell next to it. The Red Kettle has been the call to donate to the Salvation Army for at least 100 years. But the practice has changed a little. For one, the people minding the kettle are no longer there just because of the holiday spirit. Albert Hare rang the bell in the Rimrock Mall in Billings the day before Thanksgiving. He’s still looking for a long term job. Those can be hard to come by for people like Hare, who recently got out of jail for drug possession. Hare, who’s now sober, said he’s glad to have gotten a job indoors as the winter approaches. More and more of the people manning the Red Kettle are paid employees instead of volunteers. Capt. Donald Warriner works with the Salvation Army in Billings. He said the majority of bell ringers are paid. He said not as many volunteers are stepping forward, although he’s not sure why that is. He speculated it could be related to the frigid Montana weather: people need the extra incentive. 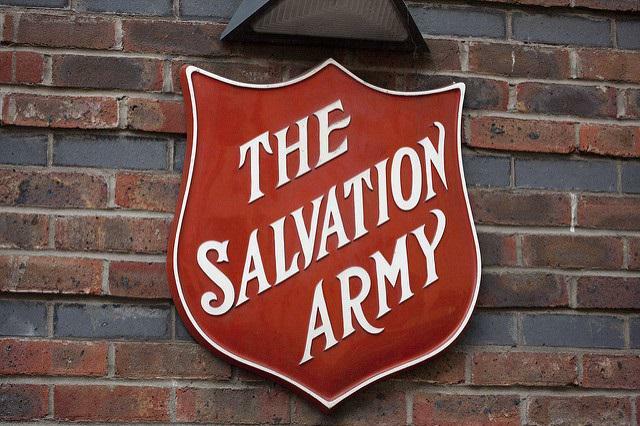 Still, it won’t make or break the Salvation Army. While the Red Kettle may be one of the most well-known Salvation Army symbols, it’s not its main revenue-gathering method. Warriner said the Salvation Army in Billings is mostly funded through grants and corporate donations, as well as from private individual donations. Nevertheless, the Red Kettle helps keep the Salvation Army a visible presence in the community, and Warriner said that’s a big help in raising money.